Indonesian wood sculpture before & after restoration. Gongxi Chinese stone sculpture c. 1850s. Stabilized, replacement of missing composition, in-painting. 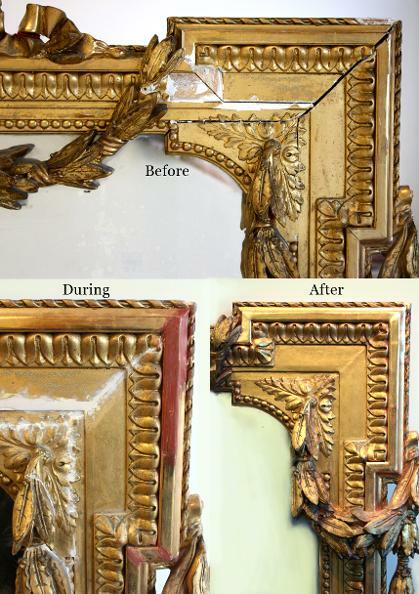 Late 18th c. French gilded gold leaf frame. Cast missing corner ornament composition. 19th c. Italian marble sculpture from Greece. Broken in 6 pieces, missing composition. Stabilized, missing composition replaced at breaks only. 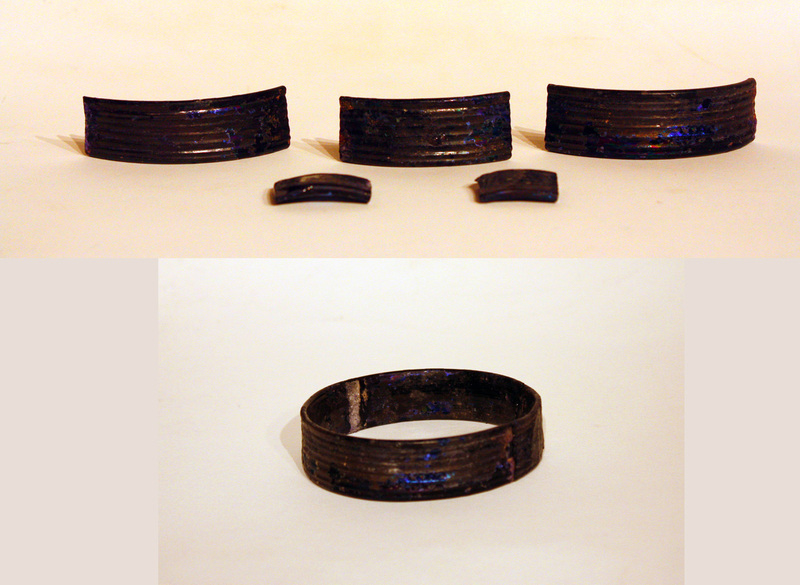 5th c. Syrian amethyst glass bracelet.